Free; RSVP Required to Paul Gutierrez at paul.gutierrez@kcmo.org or (816) 513-0726. 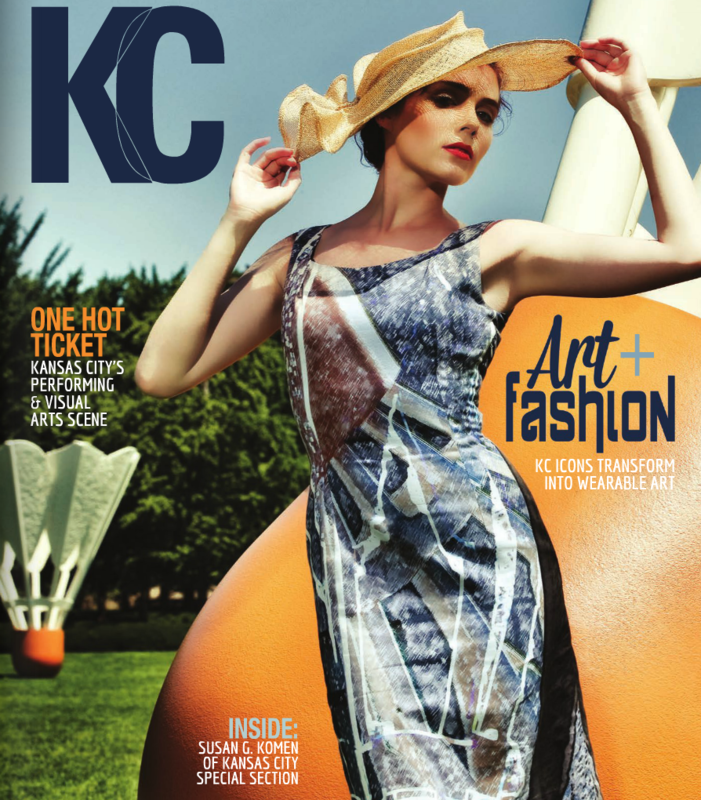 Created as an ode to Kansas City, Heidi Herrman’s “KC Icons Collection” is comprised of ten hand-crafted dresses with images, created by photographer Steve Gibson, of Kansas City’s iconic monuments and institutions (TWA headquarters, Power & Light Building, Kauffman Center for the Performing Arts, Union Station, etc.). 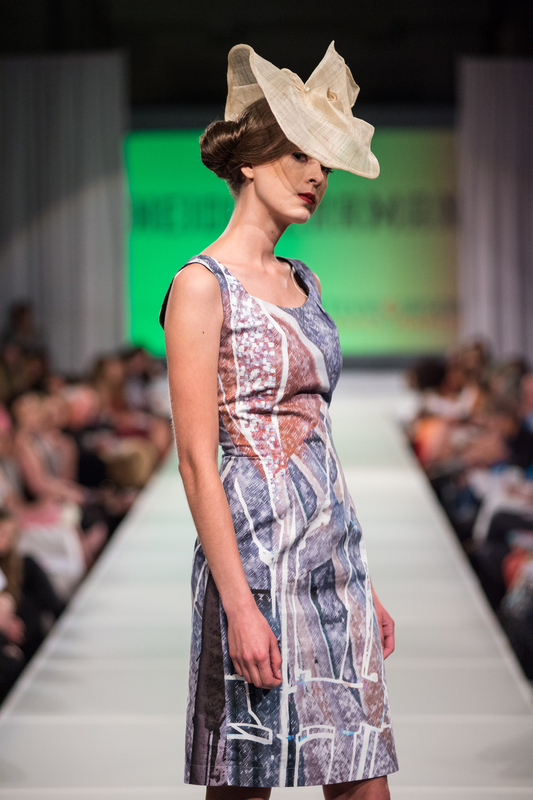 Each dress is paired with a hat designed by Amina Marie Hood. 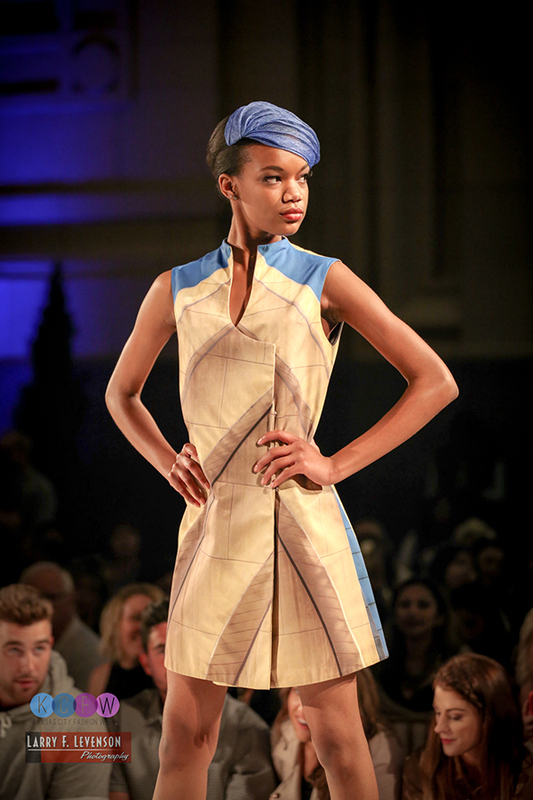 The collection of wearable art debuted at the 2015 West 18th Street Fashion Show and the 2015 KC Fashion Week. By bringing together contemporary and historical garments, Fashioning Kansas City Icons: The Art & Inspiration of Heidi Herrman, Steve Gibson & Amina Marie Hood pays homage to Kansas City and its once vibrant and vital downtown garment district, while also celebrating the City’s innovative and growing fashion industry. I want the looks to be personal to people,” says Heidi, 43, who is also merchandise manager at Omni Apparel in Grandview. “I want it to be something that brings up a memory. We all work hard, maybe too hard. And with this collection, it’s meant to be an escape to an inspiring place. 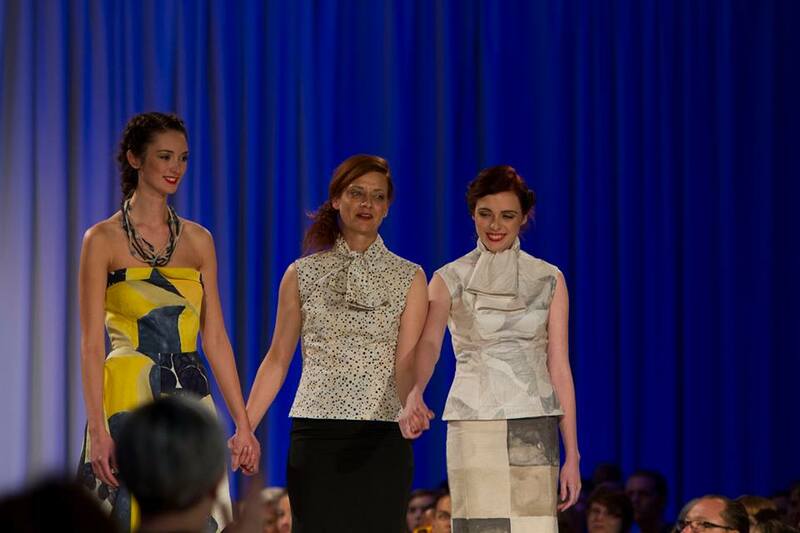 This Derby Fashion Showcase brought together pieces from past collections for both Herrman and Hood. The interiors of Kansas City Museums', Corinth Hall and the expansive grounds that surround the museum, provided perfect alcoves for the collaborative shoot. The architectural musings of Amina's free-form hats and the nod to vintage fashion that Heidi is known for, are the perfect compliment to one another. 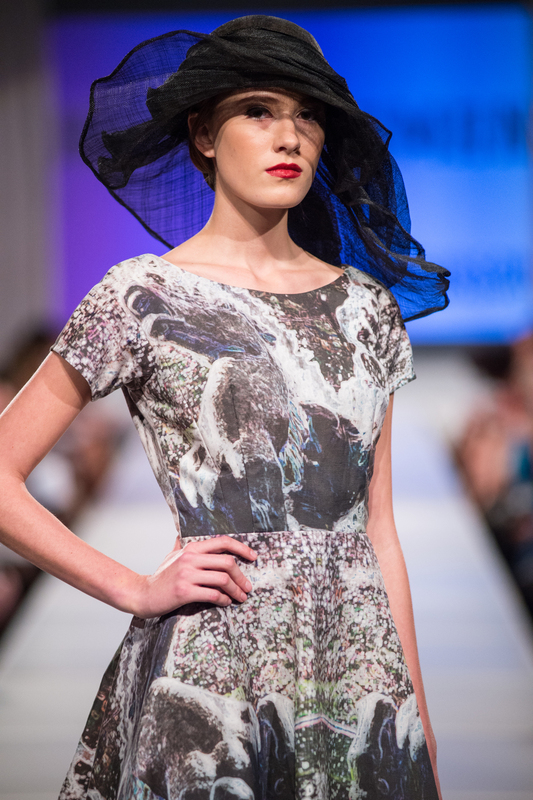 Created to inspire Derby Party attendees, this fashion showcase is a testimony showing that derby fashion is as unique as the individual. 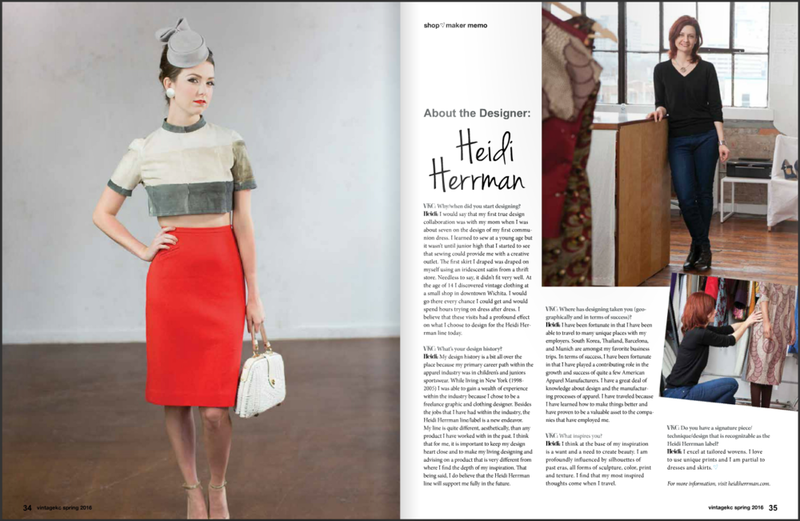 SPRING 2016 VINTAGE KC MAGAZINE "Old & New"
Heidi Herrman's designs were featured in the Spring 2016 issue of KC Vintage Magazine along with an interview of Heidi. To see a digital copy of the issue click HERE. 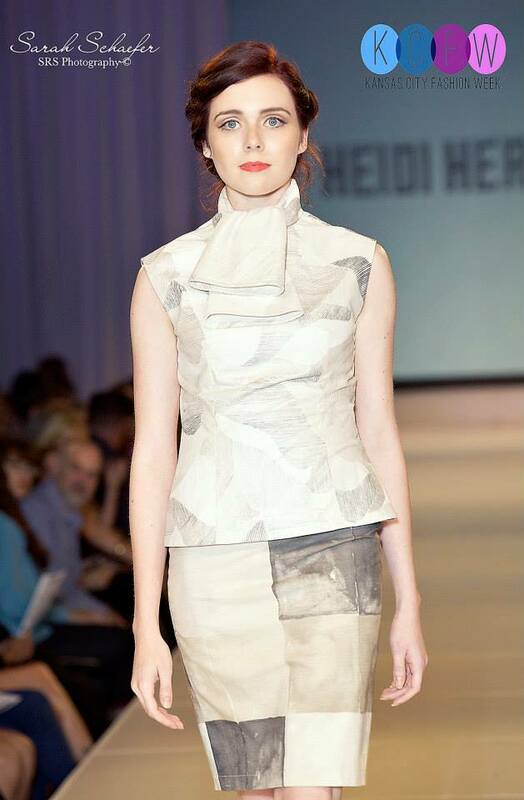 Five looks from the Heidi Herrman KC Icons collection have been featured in the story "The Art Of Fashion" from the September 2015 issue of KC Magazine. Two looks from the Heidi Herrman Fall/Winter collection have been featured in the Trendsetter section of the August 2015 issue of HerLife Magazine. 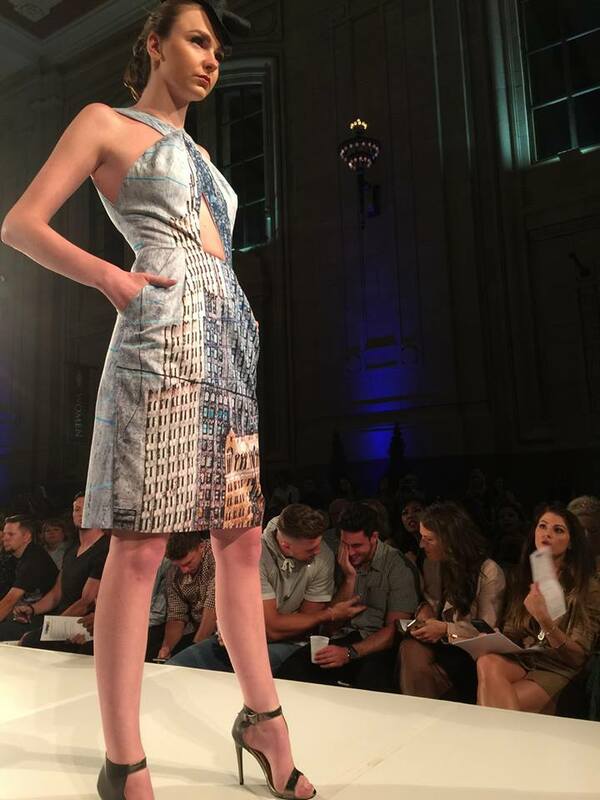 Heidi Herrman's KC Icons collection was one of those featured in Jana Meister's review of West 18th Street Fashion Show - Invitational Summer on her blog Jana Sytle. 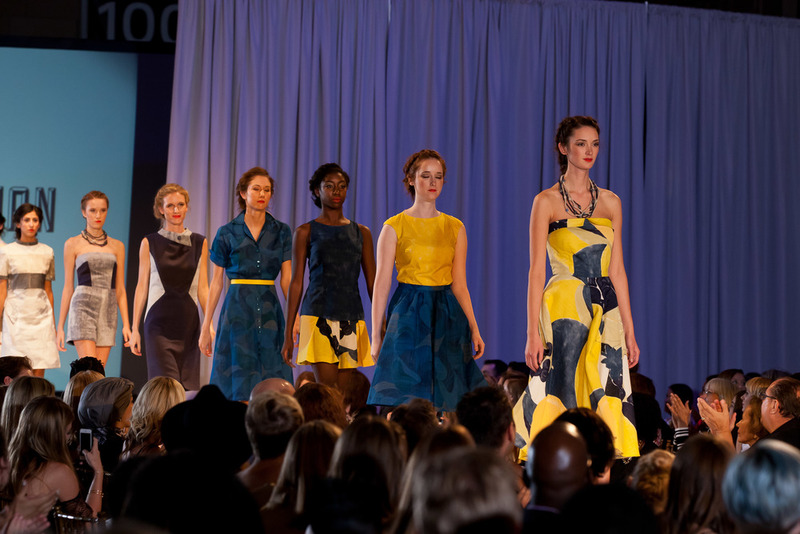 This summer, the West 18th Street Fashion Show celebrated its 15th anniversary of showcasing spectacular fashion artistry and craftsmanship with a special theme: Invitational Summer. 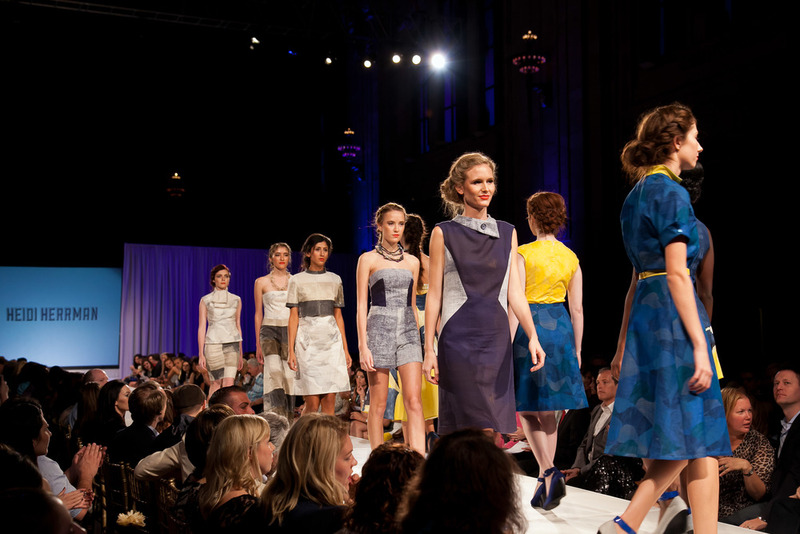 Rather than accepting applications based around a core concept, this year the producers invited runway alums and a select group of national designers to develop their own unique concepts for the event. 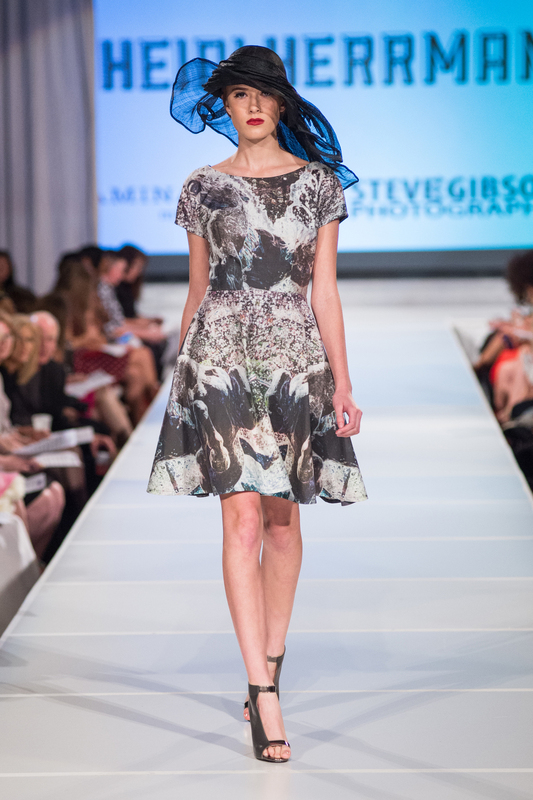 Heidi Herrman, in collaboration with Steve Gibson Photography, was excited to be a part of this event and debut her KC Icons collection. View the slideshow below to see pictures from the event. 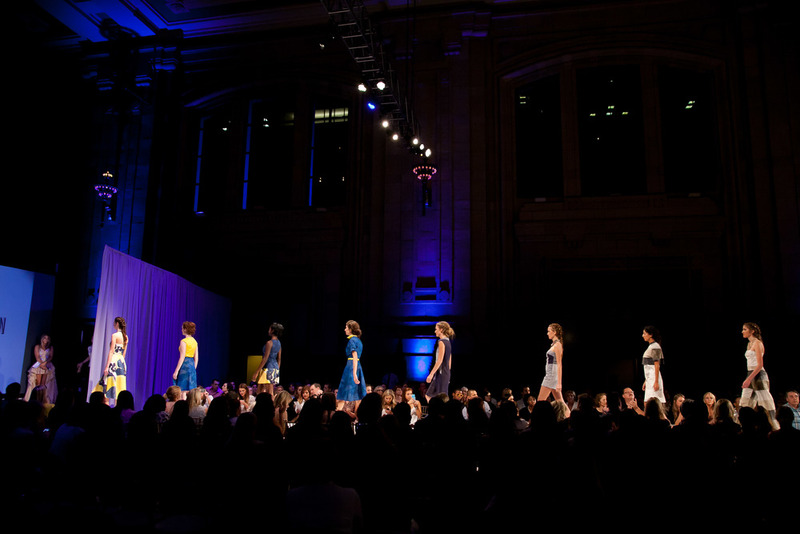 Special thanks goes to partnered jewelry designer Lauren Markley, Vilma Subel and Geena Merciel of Xiphium Salon for hair, Bettina Mendez Delfin of Naturally Salon KC for make-up, and the models: Kaitlyn Schutz, Darci Clark, Beka Vande Velde, Hannah Hadnot and Summer Lee Kragel. 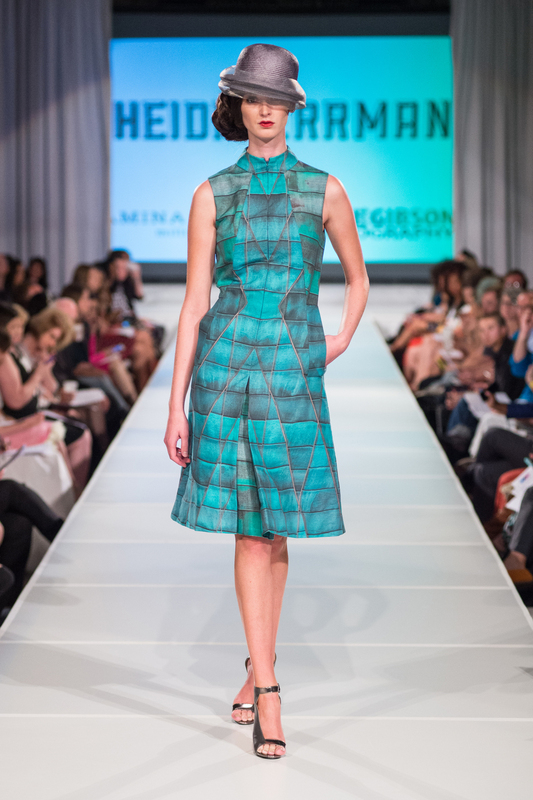 Two of Heidi Herrman's Fall/Winter 2014 Collection pieces will be featured in the Kansas City Museum's Rituals and Celebrations: Exploring Meaning Through Dress exhibit showcasing local fiber artists and fashion designers. Rituals and Celebrations is in the Museum's new Community Gallery and is a contemporary counterpart to Dressing Up in Kansas City: Rites of Passage, which showcases the Museum's historic clothing and textile collection. Both exhibitions are on display simultaneously at the Kansas City Museum from October 4th - November 30. A free special viewing of both exhibitions will be on Thursday, October 16 from 5:30-7:00 p.m. on the second floor of Corinthian Hall at the Kansas City Museum. RSVP to anna.tutera@kcmo.org. The Kansas City Museum is located at 3218 Gladstone Ave., Kansas City, Missouri 64123. Wednesday-Saturday 10 a.m.-4 p.m.; Sunday, noon-4 p.m. The exhibition is available by tours only, on the hour. The last tour begins at 3 p.m.